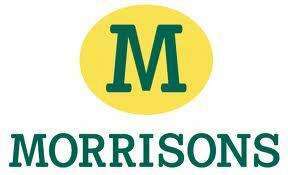 Just spotted this on morrisons website. Not bad for the price. Not sure what model or the specs are. Complete with two years guarantee. Model no is APLD2YR32H1TFD but there's no info on the net anywhere. The remote is pretty cheap and tacky though. Any more info needed just ask and I will see if I can dig it out. Any idea who makes the panel? Cant find much info on this, probably have to open it up or access the service menu (if there is one) to find this out. I emailed Akura for the manual and checked the wall fitting was VESA compatible. They answered very smartly. I liked what I saw, Full HD and lots of good features notable PVR ready via USB. All for £189 sounds like a bargain. So I went to Morrisons today 11 July 2012 and bought one. Setting up was easy and the stand far easier than my Sony kdl32ex713. However the picture was horrible! The colours were overblown to the extent that the picture became well out of focus. No amount of fiddling with brightness - contrast - colour corrected this issue. I also did not like the idea of the connection all being vertically downwards, I can see in no time the aerial connection coming loose and falling out. However worst of all for FULL HD with no Freeview HD - that's not Full HD! Actually purchased one of these (Akura 32" Full HD etc.) from Morrisons, for £189.00 on 18 AUGUST! !